My very first visit to the theatre as a child was to see ‘Peter Pan’. I don’t remember much about the show, but vividly recall being up on high looking down at a stage and being entranced by a very large dog (Nana) each time it appeared. Most of all I remember being mesmerised by Tinker Bell. The magic, the darting light, the tinkling laughter. ‘When the first baby laughed for the first time’, wrote J M Barrie, ‘its laugh broke into a thousand pieces, and they all went skipping about, and that was the beginning of fairies.” Oh yes, I believe in fairies. I believe in Angels too. Spiritual ones with the wings and also the ones without who walk in our midst on a day-to-day basis. I’m sure you know Frank Capra’s film ‘It’s A Wonderful Life’ in which Clarence, the angel, earns his wings. It is via this warm- hearted character that George Bailey learns the fact that no man is an island: “Strange, isn’t it? Each man’s life touches so many other lives. When he isn’t around, he leaves an awful hole.” And also the value of friendship: “Remember, George: no man is a failure who has friends.” Sometimes we need to be reminded about both of these things because, in the busyness of the world around us today, it is very easy to forget. 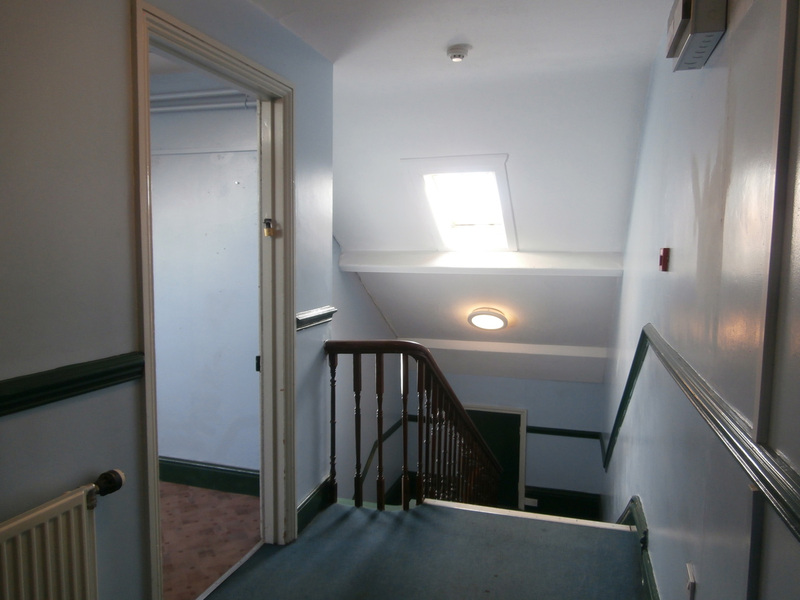 Did you hear a bell ping at the end of the renovation process way back in September 2016? Well that was Giuseppe earning his wings via me. Time to say Good Bye to the fast depleting group of friends (aka angels) without whom this blog would not have been as easy nor as much fun to do: Paul Carmichael, Giuseppe Ferrara and Ken Fikson (above) and the ever-helpful Amy (below). I miss Giuseppe. 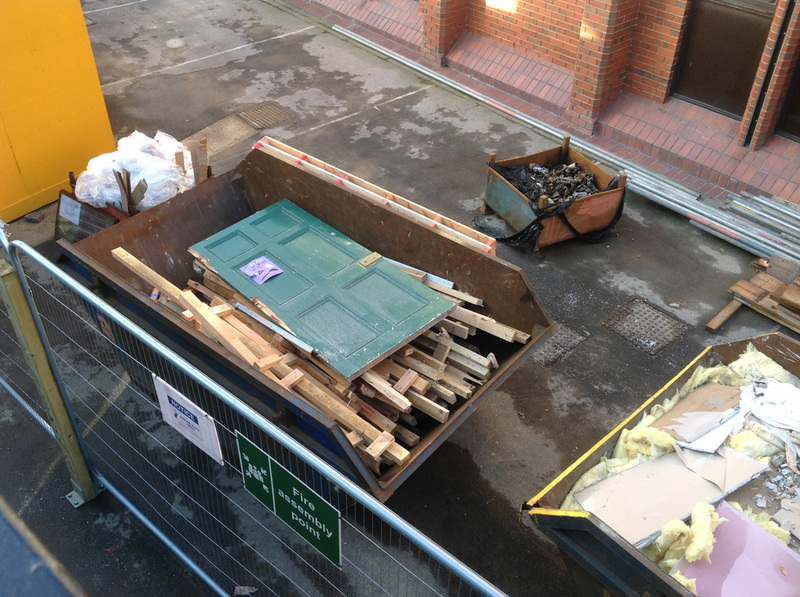 We saw him about the building for quite a while into the new term, as the snagging process seemed to be endless. It was always a boost to see his smiling face, but he eventually moved on to a new job – a very prestigious one at that – on Lord Lambton’s estate. 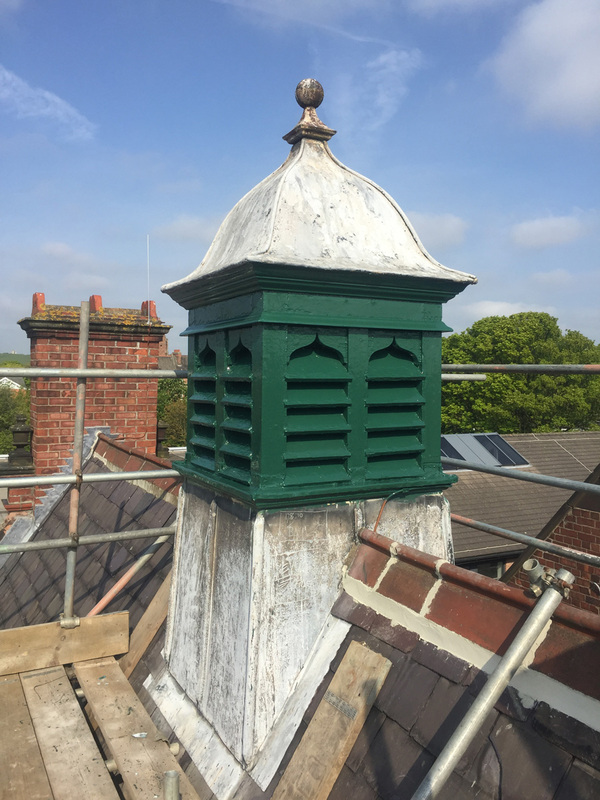 It was very fitting, I thought, that the care he had taken to preserve as much of our Old Building’s heritage as possible – in particular the architectural photographs he had taken for this blog – helped him put together the portfolio which secured him the job. On the day we took these photos, Giuseppe’s wife had just given birth to a baby girl whom he hoped might one day attend this very school. After he’d gone, I took some shots of the office he had worked from whilst onsite, high up in the eaves at the top of Westward House. There is no doubt that from here he had a splendid view of School. 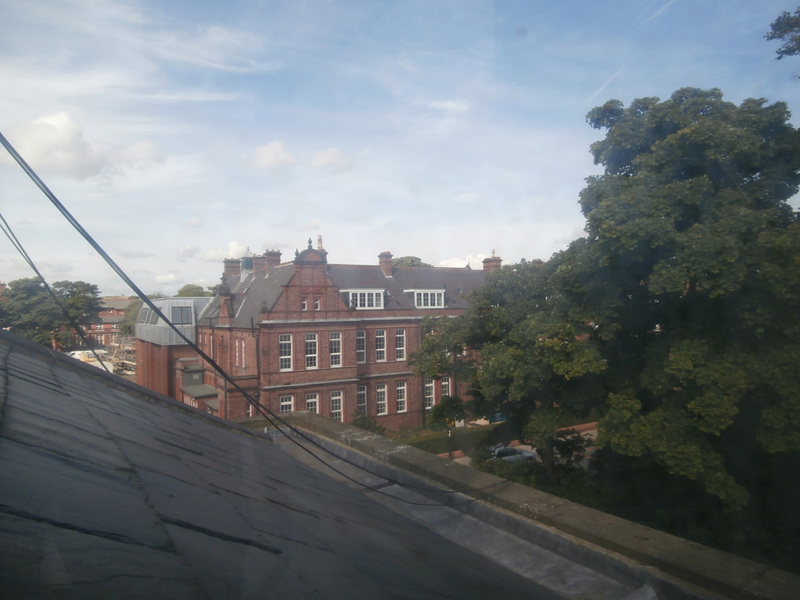 Friends in High Places: welcome to the GDST Client’s Office and its Giuseppe-eye view of the Tankerville Old Building. 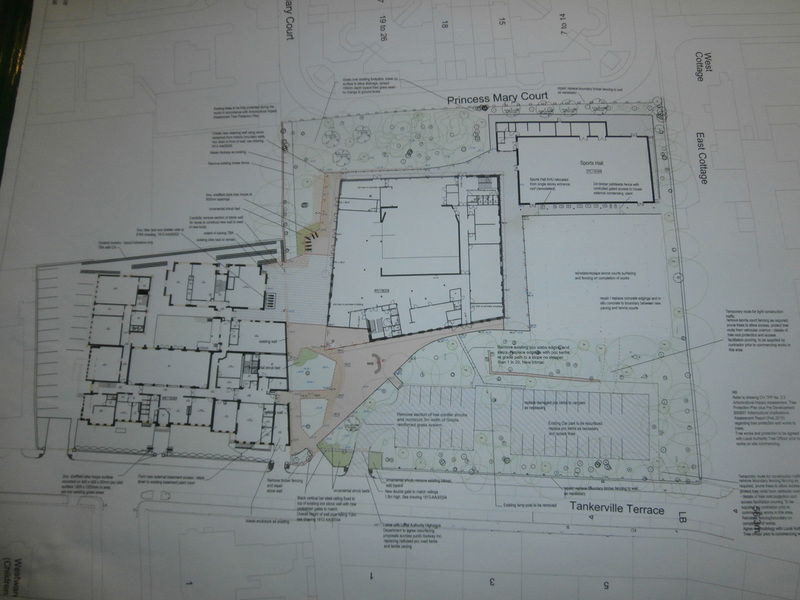 Architectural plan of the Tankerville Terrace site in 2014. Architectural plan of the Tankerville Terrace site in 2016. 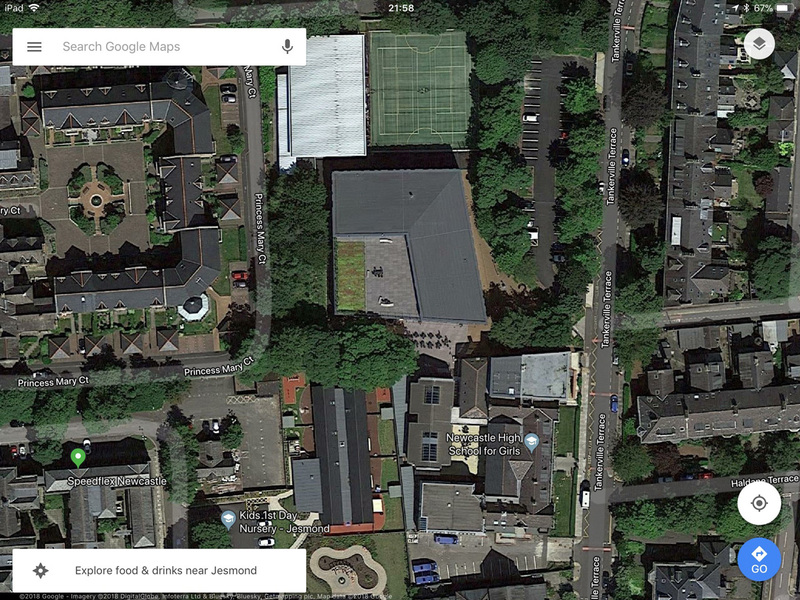 Google Maps aerial view of Tankerville buildings in 2014. 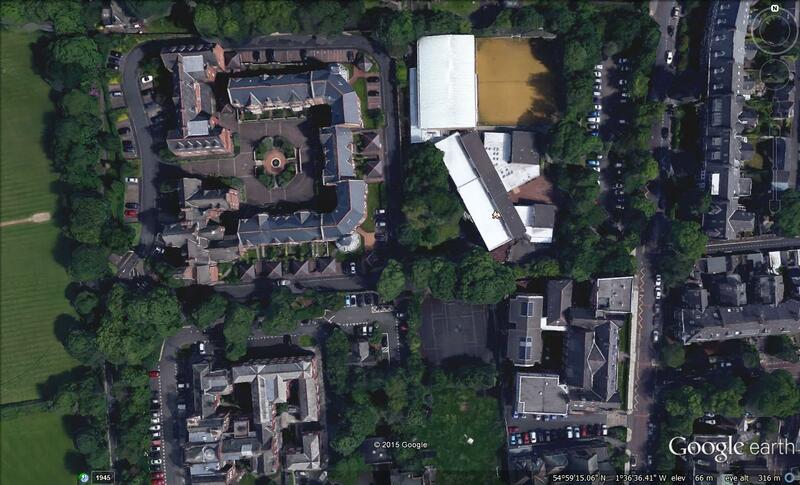 Google Maps aerial view of Tankerville buildings in 2016. 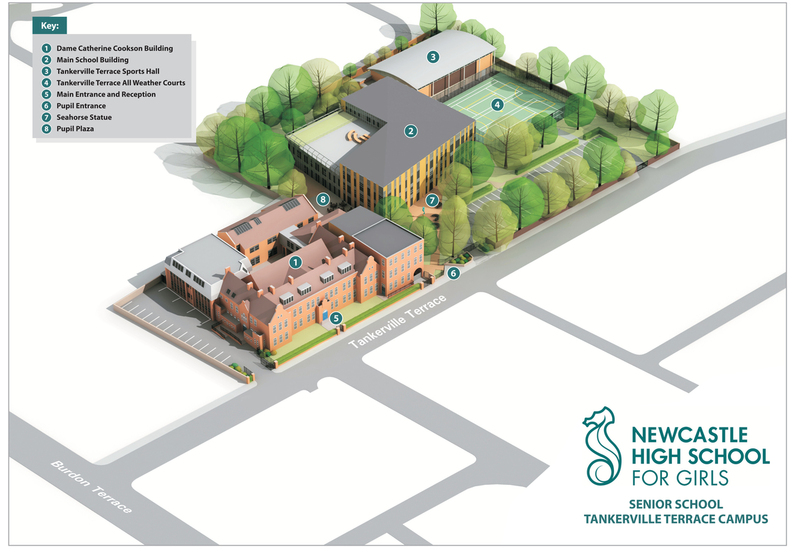 Of course, how we finally got to the position of re-opening Newcastle High School on Tankerville soil wasn’t as simple as these images might suggest in ‘real-time’ at human grass-roots level. Real life never is. 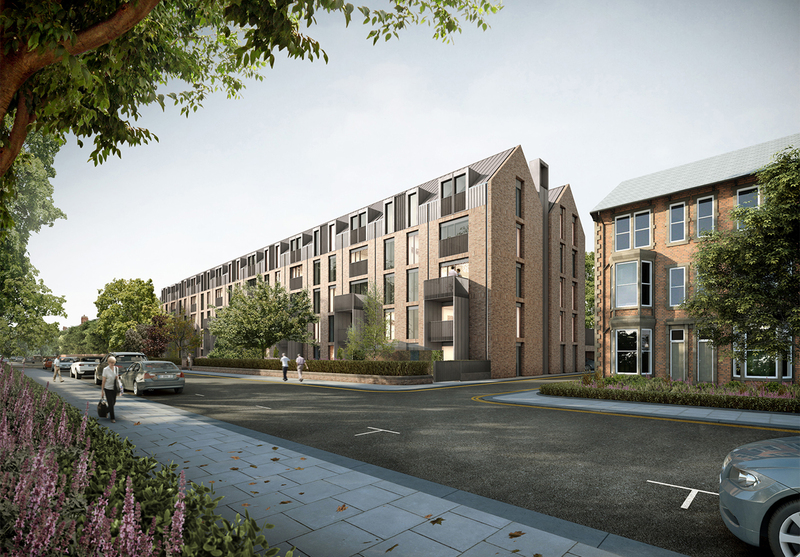 However, in February 2018 the working partnership of Ellis Williams Architects and Wates Construction on Tankerville Terrace was recognised as an exemplar of architecture and environmental design at Newcastle City Council’s 2018 Lord Mayor’s Design Awards. 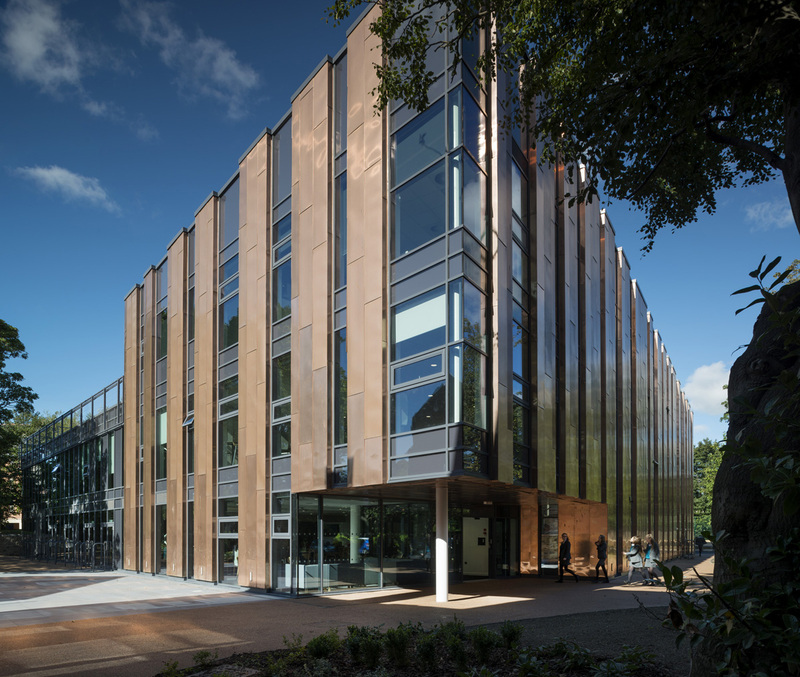 These awards are held every two years to encourage, promote and publicise the best in architecture and environmental design in the North East with a view to improving the built-up environment for all. 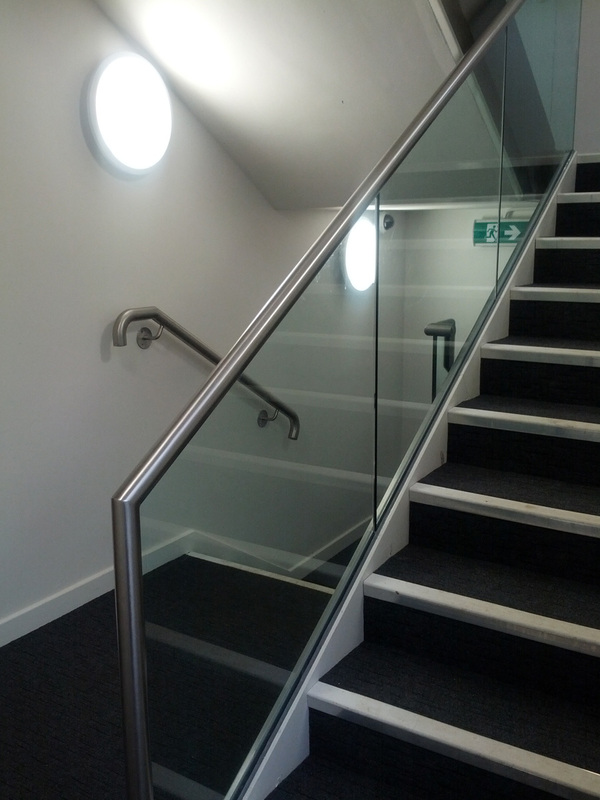 Whilst the Tankerville site only achieved Commended Finalist status in the New Building category – the judges describing the rebuild as “an ambitious school project providing modern facilities in a sensitive manner within the conservation area” – the site renovation project as a whole won the Lord Mayor’s Special Award. 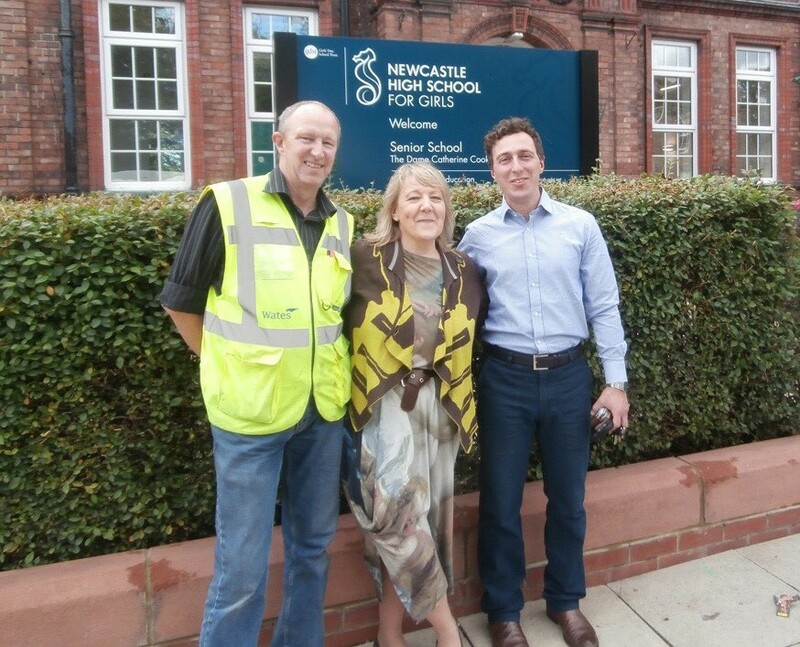 The Lord Mayor of Newcastle, Councillor Linda Wright, was “particularly impressed with the investment in the education of the city’s children demonstrated by the scheme. 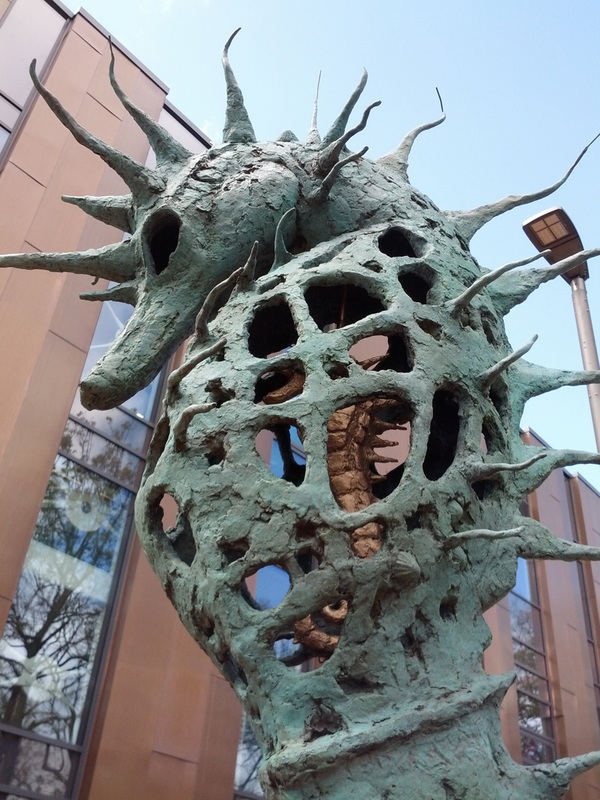 The combination of works to the existing school and the addition of the exciting new building has created a new learning environment whilst maintaining an historic link with the school’s past.” Prior to taking up the Lord Mayor’s office, a role Linda’s mother had held before her, Councillor Linda Wright was also present at the unveiling of the Zoe Robinson’s seahorse statue in May 2017. 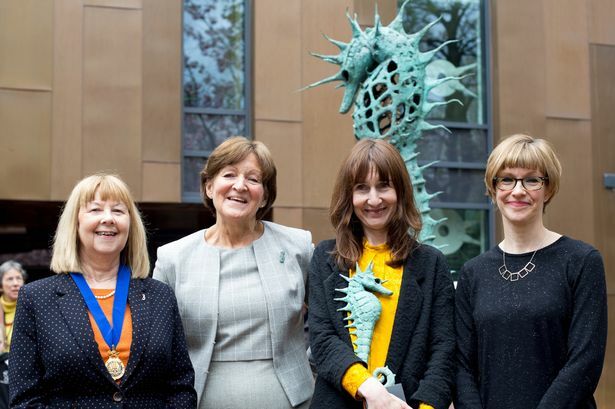 Councillor Linda Wright, Headmistress Hilary French, sculptress Zoe Robinson and Baltic Curator, Emma Dean at the unveiling of the NHSG bronze seahorse statue in May 2017. Old meets New: the Newcastle High School Tankerville Site. If I were to use the tale of Peter Pan again to convey the dark places along the way as the building and I travelled from the old to the new, the crocodile comes immediately to mind. But as I set out on my quest for truth to conquer all, there wasn’t the luxury of knowing that my metaphorical crocodile had once swallowed a ticking clock. At such times, one is grateful for the angels that cross your path. Which brings me back to Giuseppe and the legacy he left behind. He will now be forever connected in my mind with the Little Bell Tower. 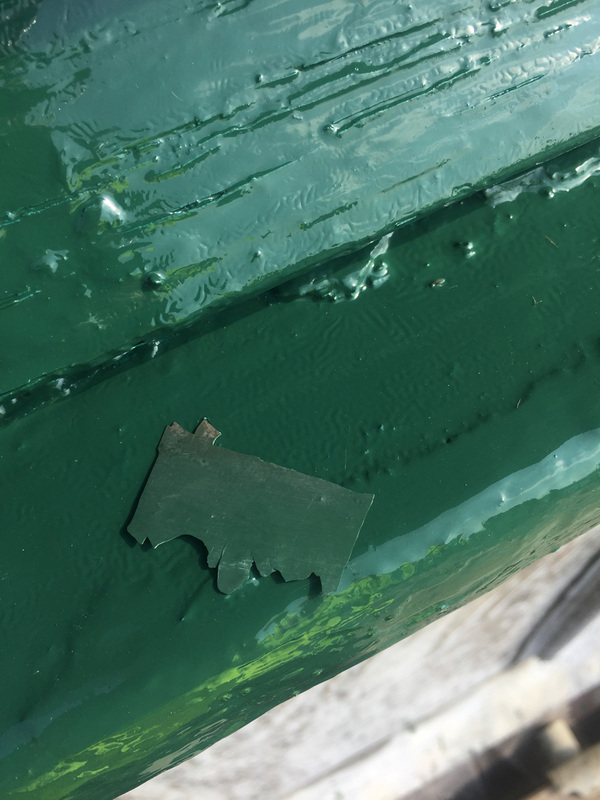 Giuseppe’s Legacy: the little green bell tower. 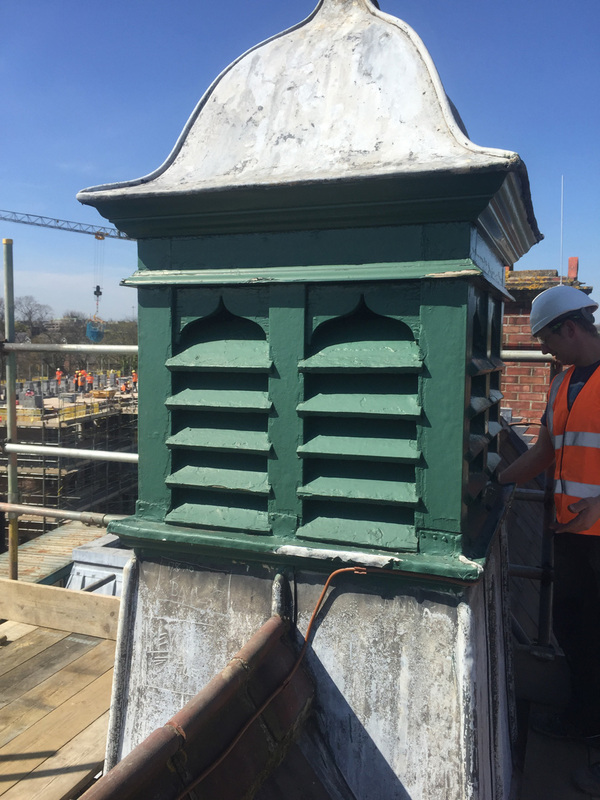 I now know the structure isn’t a bell tower, of course, but the phrase ‘Little Green Boyle’s Ventilator’ doesn’t quite have the same ring to it. As this blog moves on to focus solely on Church High Heritage now that the story of the Tankerville site transformation is done, you will hear a lot more about the School and its building as it was. 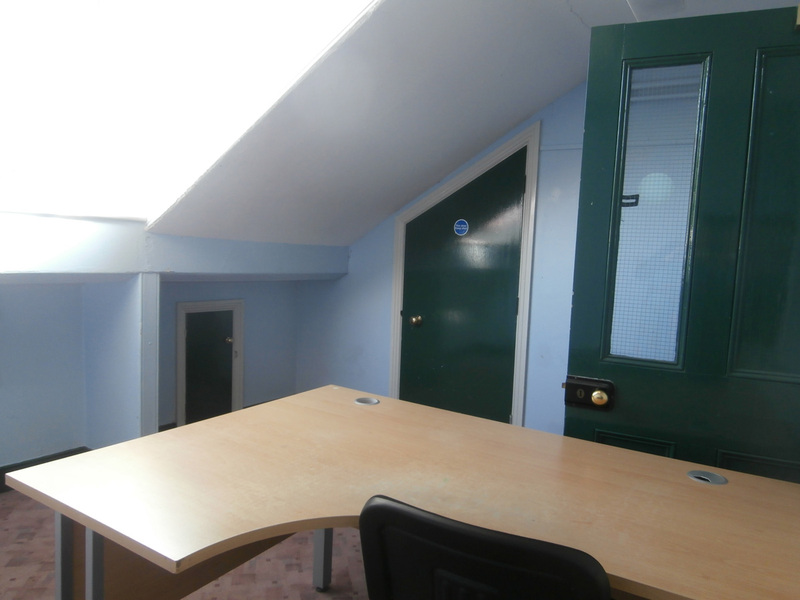 Suffice to say here that the sub-divided classroom (in height), which we knew in recent times as Room 8, was originally designed as a Science Laboratory – in the days when such things were rare indeed. 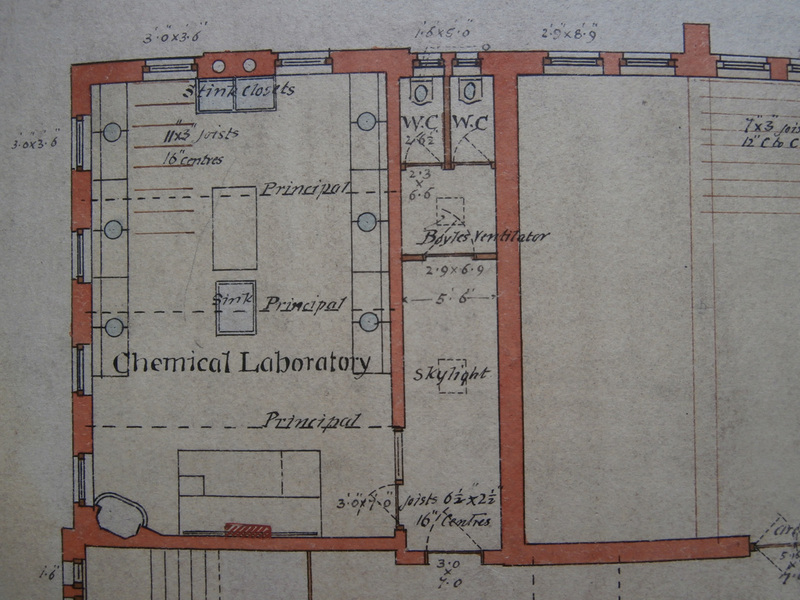 Oliver & Leeson’s 1889 drawing showing a lab in Newcastle High School’s south-west corner. 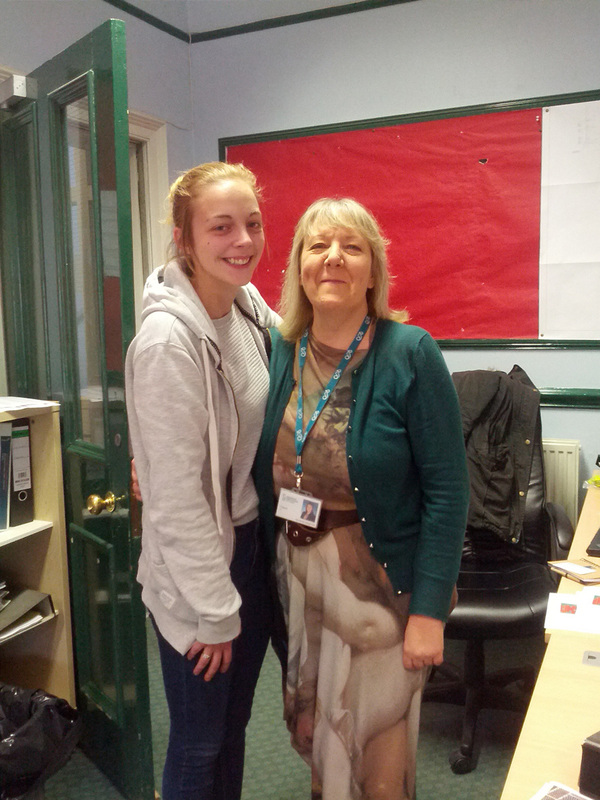 [Tyne & Wear Archives]. The Newcastle High School building was state-of-the-art for its time. The article in the Newcastle Courant tells us that ‘for the extraction of foul air, a shaft is taken from every classroom to a central chamber in the roof, where a powerful Blackman fan, driven by a gas engine, is provided for the purpose of summer ventilation especially.’ Robert Boyle & Son of Holborn Viaduct, London, were the leading ventilating engineers at the turn of the 1900s. Trading under the motto ‘A peoples’ health’s a nation’s wealth’, the Boyle system of natural air ventilation had been applied to over 100,000 buildings. 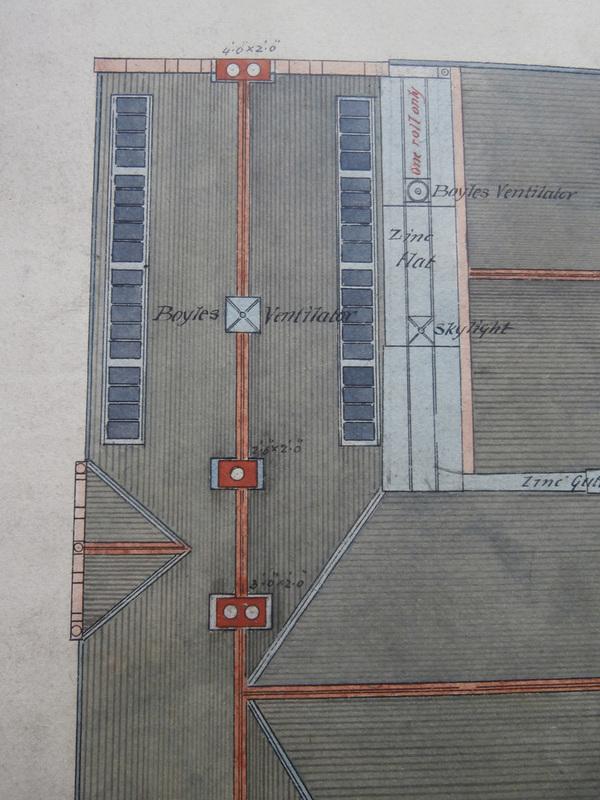 Oliver & Leeson’s plan of the NHS roof shows a Boyle’s ventilator in situ. 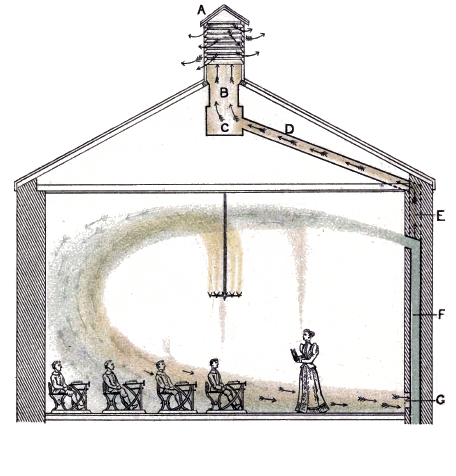 Diagram from ‘The Boyle System of Ventilation’ Catalogue showing the system being applied to a school classroom. Oliver & Leeson’s 1889 drawing of the Newcastle High School roof showing the Boyle’s Ventilator in place. [Tyne & Wear Archives]. Giuseppe was a Clerk of Works who really did believe in conservation. His attention to detail knew no bounds and he grew to love the Old Building. 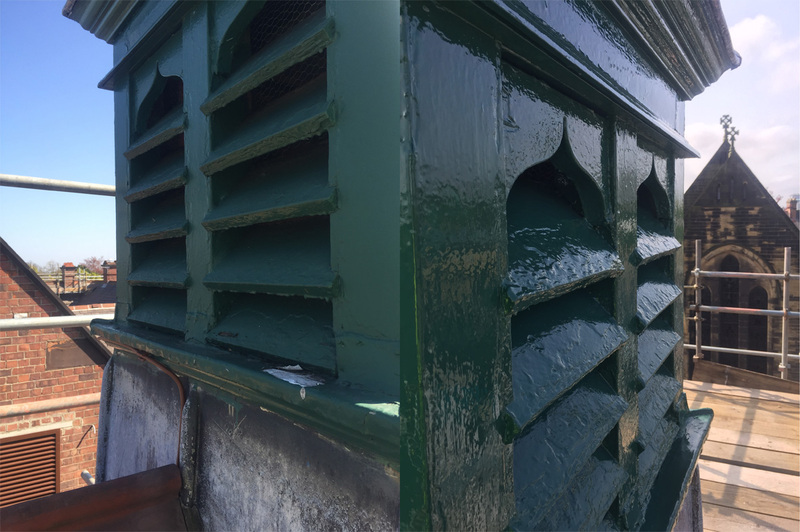 I knew he had a fondness for the Victorian ventilation shaft because he had told me about an original feature he’d found and photographed up there. 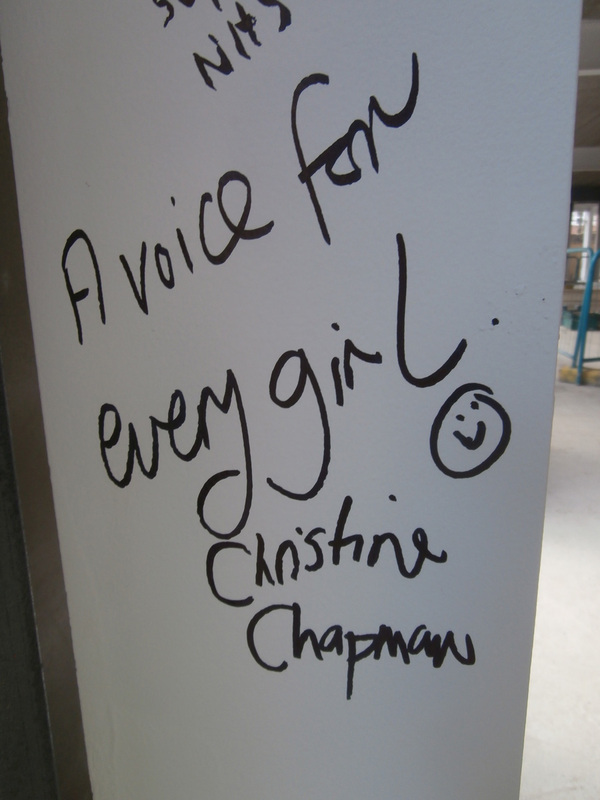 We’d been talking about workmen leaving their mark on a building and I’d cited the name scratched on a roof girder in the 1935 extension. 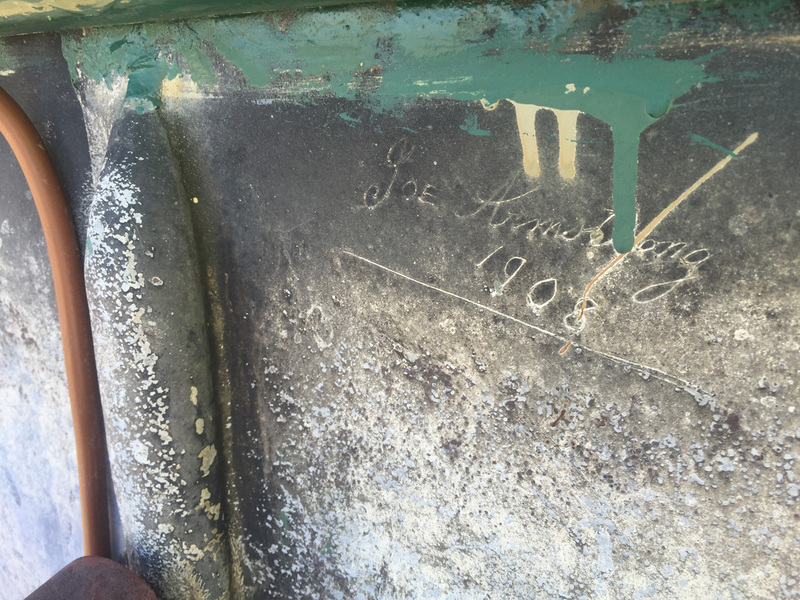 I don’t think that survived, but we still know that Joe Armstong worked on the roof in 1908. 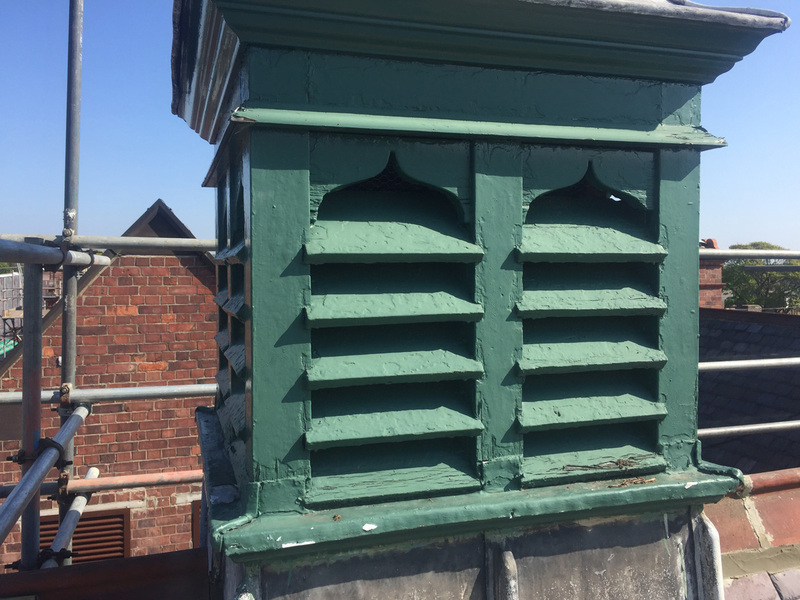 Along with his close-up shots of the Old Hall’s hammerhead beams, these photographs Giuseppe took of the south gable Victorian ventilation shaft are his favourites from the job. I didn’t talk to Giuseppe again about the ‘Little Bell Tower’ but, as the end of the project was nearing, something Conal said in passing made me smile. 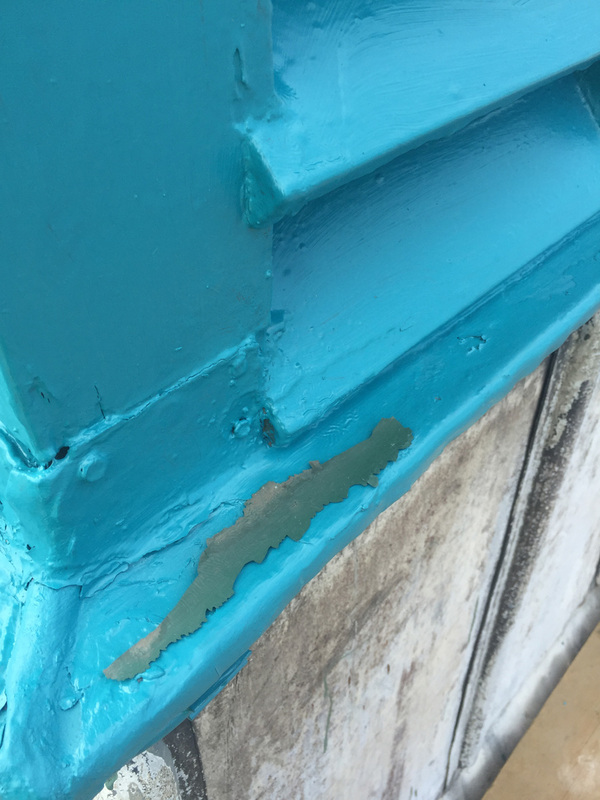 As the teal gloss was being applied to the external doors, I recall asking him if all the wood was going to be teal. 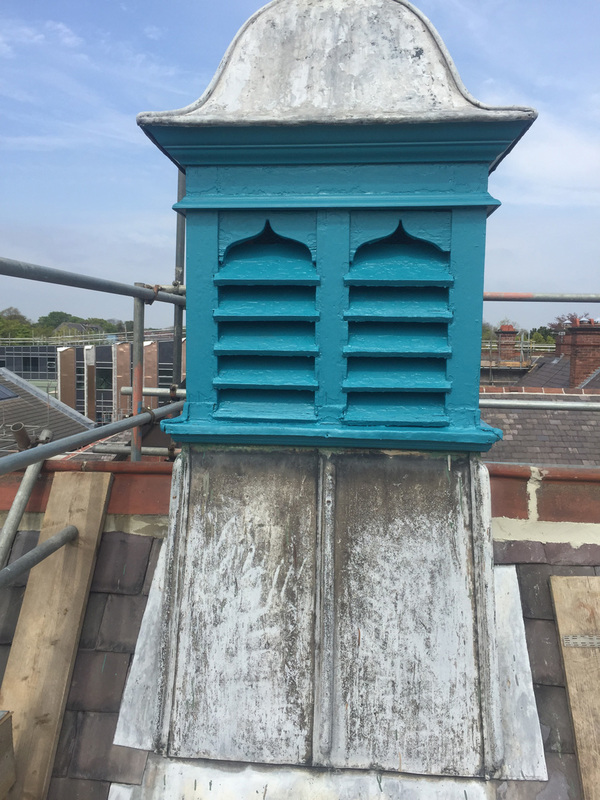 He said he thought so, but then took back his words, nodding at ‘the bit on the roof’ they had previously painted teal but had been made to repaint. Giuseppe’s orders, he said. 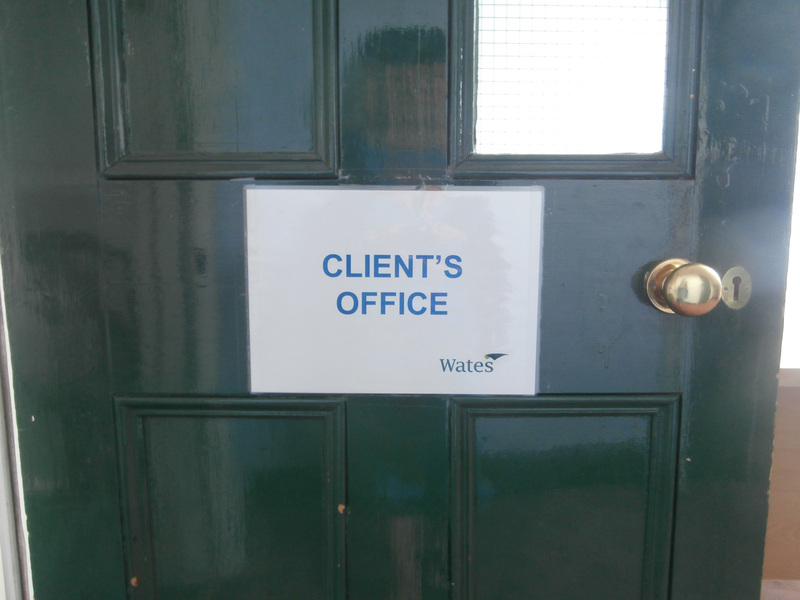 On site, the Clerk of Work’s word is final. It wasn’t until I downloaded a batch of Giuseppe’s photographs a little later on that the full force of what Conal had meant emerged. 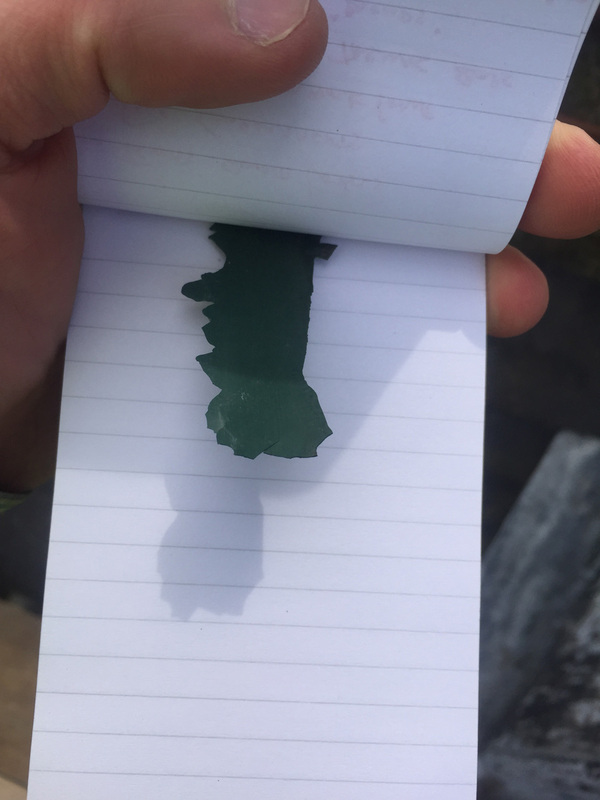 I did tell you that Giuseppe was a stickler for detail and Tankerville is a conservation area after all. A picture is worth a thousand words they say, so I will stay quiet here and leave it to Giuseppe himself to show you his legacy gift in a little photo story. A very small ‘victory’ it may have been, but, nevertheless, all those folk who said that everything would change and that nothing would ever be the same again on Tankerville were not completely right. Did I know this would be the case? Of course not. But I had hope. And I believe in Angels. I also know that rainbows follow the rain. 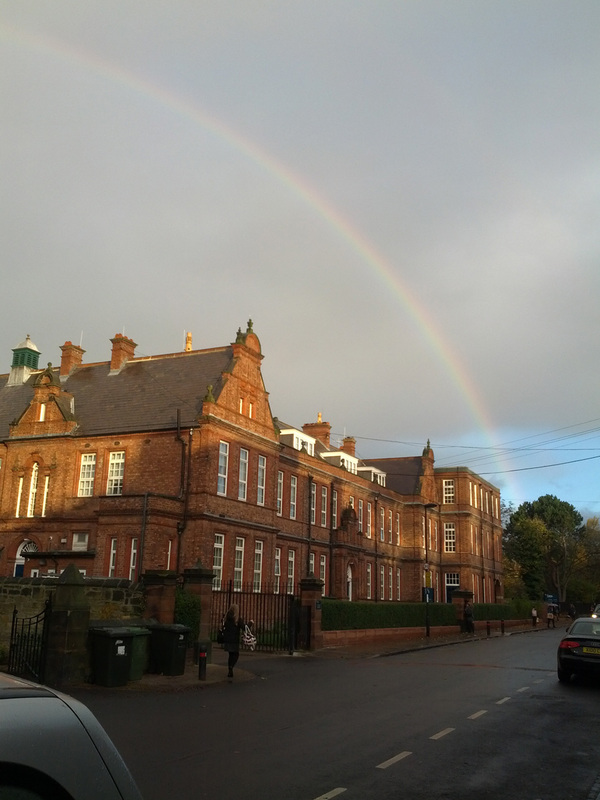 The rainbow after the storm appears over the Tankerville Old Girl, 11th November 2016. 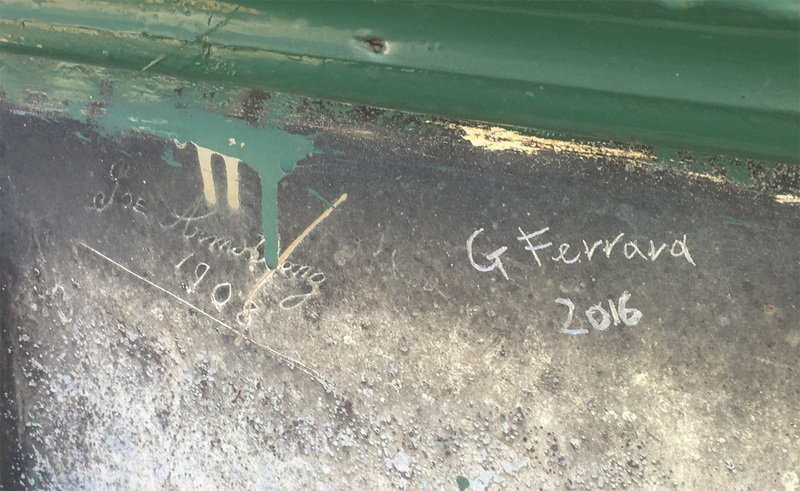 My name signed on the Topping Out iron girder is now absorbed into the New Building (above) while Giuseppe’s joins Joe Armstrong’s high up on the Old Building’s roof top (below). 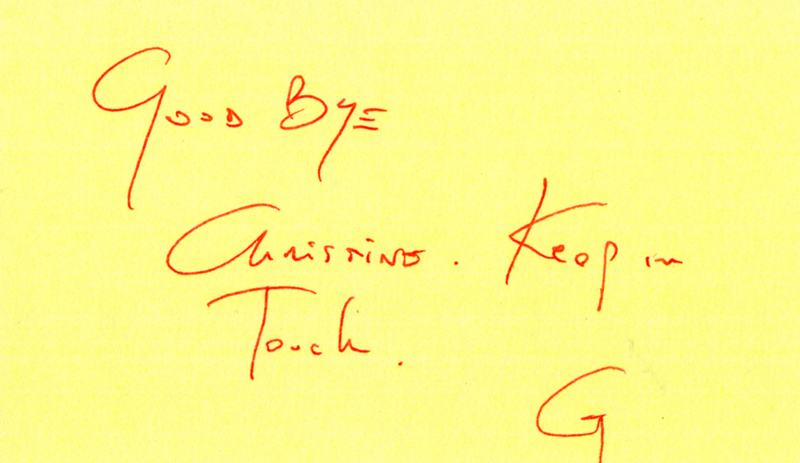 Giuseppe’s Sign-Off to me: the Post-It note left on my monitor. With all the metaphorical dust now settled, it surprises even me just how much green there is still dotted around the Tankerville site. And that’s not even counting the green of the grass and trees. Little did one know, awash with waves of sadness as skips were filled, that four years on the Old Girl would still be green from her head to feet. Yesterday’s Colour: so much ‘went the journey’ back then. 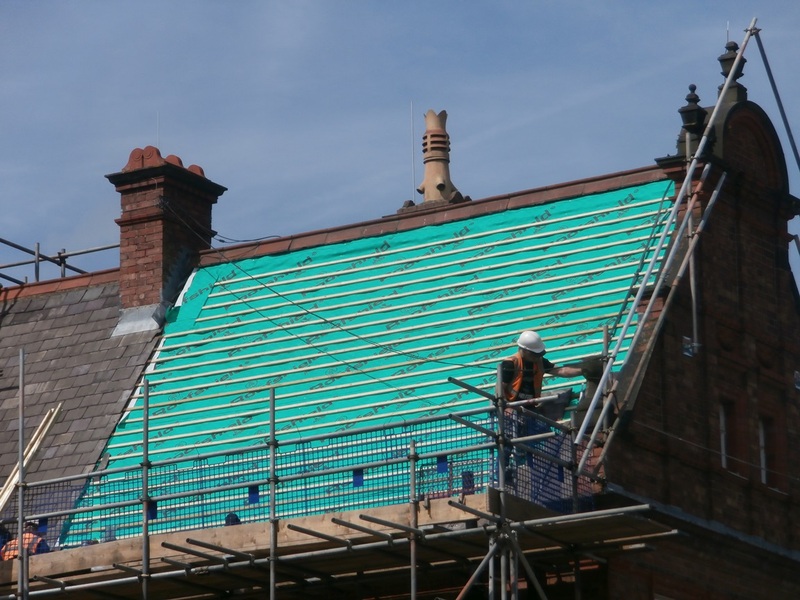 But green is still there now at the top of the Old Building…. 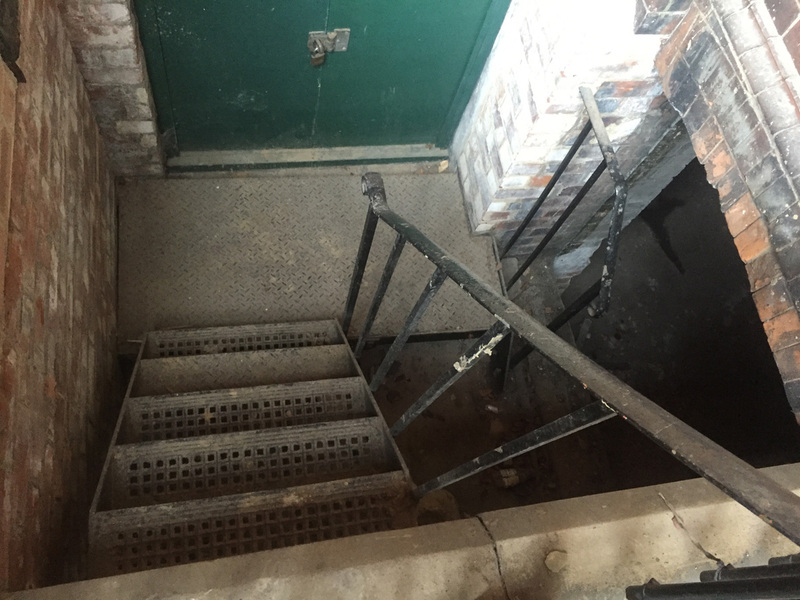 ….. and is still very much in evidence down in the basement. It’s all down to the angle you choose to look at things, I guess. Which is how the new glass can’t help but look green when looked at slant. The elemental hue of Life, green is a very hard colour to eliminate should you be that way inclined. 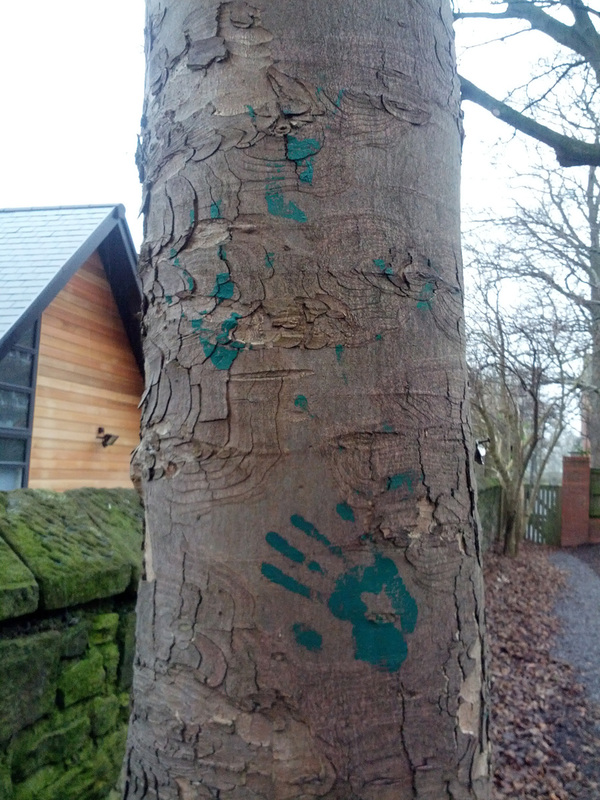 As it takes up more space in the spectrum visible to the human eye, green will dominate any scene. It’s a fact: you can never fail to see these handmarks (above) and Zoe’s bronze seahorse (below) will always dominate the front of School. The July we left Eskdale, I gave Hilary a present of one of my ‘wise little’ books, Kate DiCamillo’s ‘Because of Winn Dixie.’ Its back jacket blurb ends with the line ‘just about everything that happens that summer is because of Winn Dixie’. Hilary appreciated why I’d given it to her. Understood the implied analogy. Yes, a lot of things have happened ‘because of the merger’. A lot. It’s not a ride I would have opted to take in a million years and it’s important to remember it was difficult for us all. The ultimate winner is history. 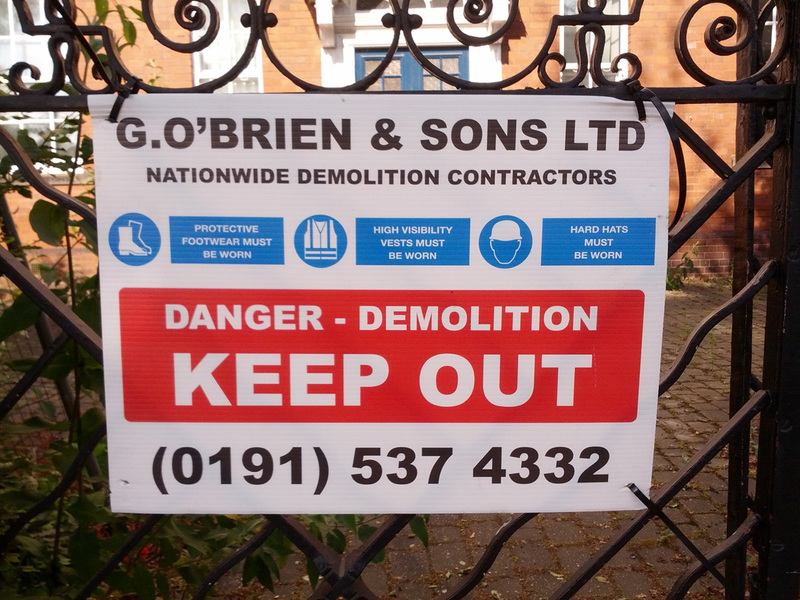 Owing to the merger, the Jesmond landscape has already changed once and there will be even bigger changes to it very soon. Yes, we should all pay more attention to history. Winn Dixie’s final line is ‘And I listened careful, so I could learn it right.’ A lesson I hope now learned by all. 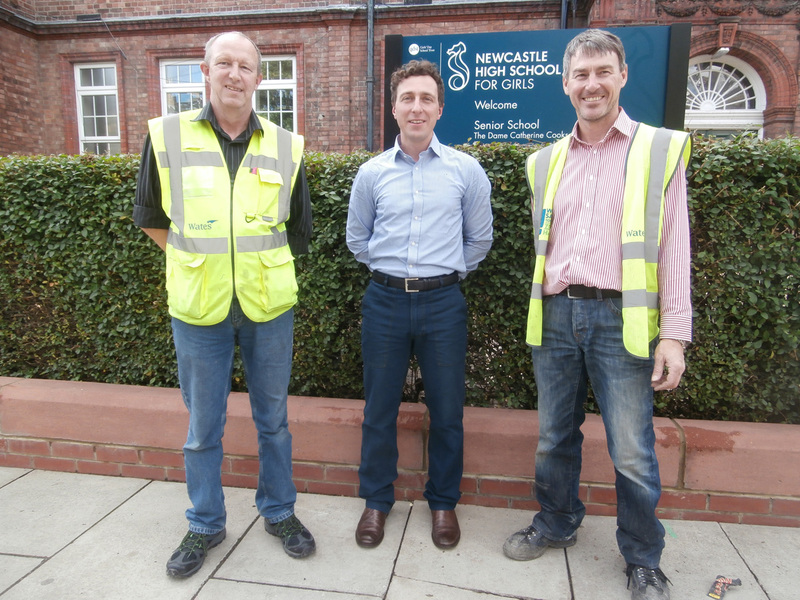 ‘The Wheel has come full circle’: from September 2018, Tankerville Terrace will once again boast the only High School for girls in Jesmond. 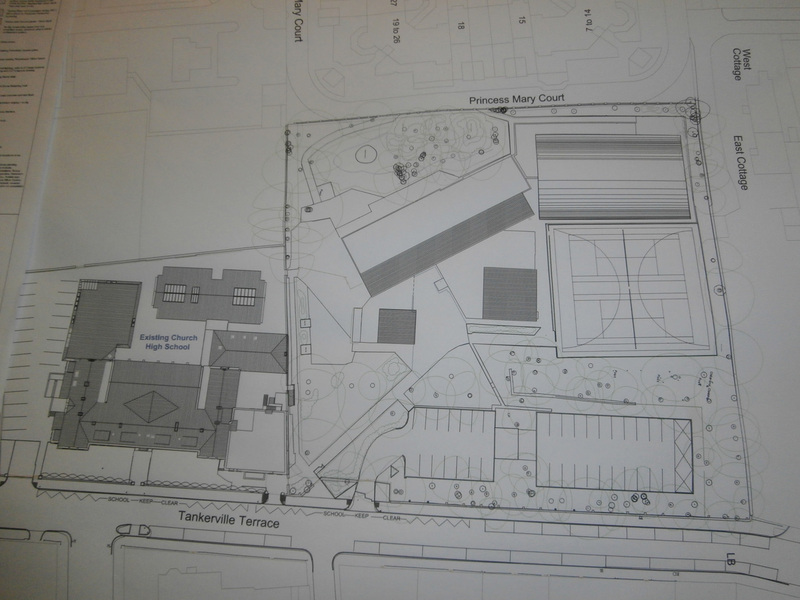 Central Newcastle High School is destined to be replaced by a Pegasus Life retirement village. So where do we go from here? Well, as a good friend of mine, Peter Sarah (General Manager of Theatre Royal, R.I.P.) often used to say: ‘Onwards and Upwards’. Because that is the only way. Always. All things green eventually find the light and grow towards it. And if you would care to join me, we take our bearings from the second star to the right. From there, I promise you, it is straight on until morning. ‘All things come to those who wait’: Omnia Vincit Veritas.